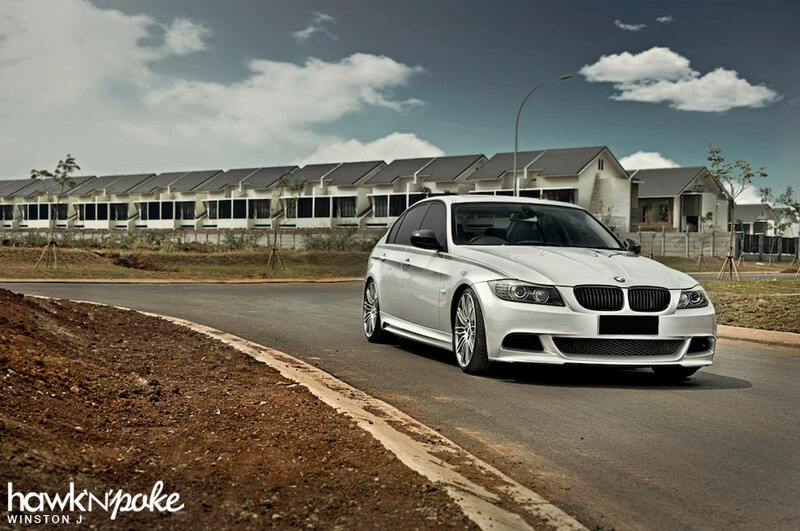 At first sight, you might’ve thought that the ride we have here seemed quite similar to other commonly found BMWs. It’s got four doors, it’s a 3 Series, and aesthetically there’s nothing too gaudy about it. No fancy branded wheels, no aggressive fitment, no colorful body wraps; there’s absolutely nothing about it seems out of place. The modifications, in fact, are all quite subtle, yet technically refined and look exceptionally matured. Then you might have concluded that this is just another 3 Series with OEM+ exterior enhancements attached. Well, don’t be fooled. Once the engine’s started and the exhaust screamed, you’ll realize that this thing is a totally different beast from your average housewife daily driver. 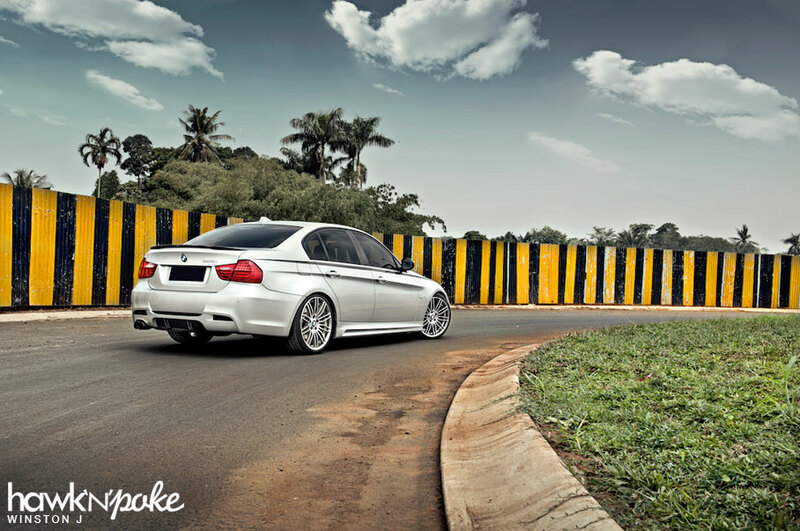 The exterior might have hinted the BMW Performance package that has been installed on this 325i LCI. 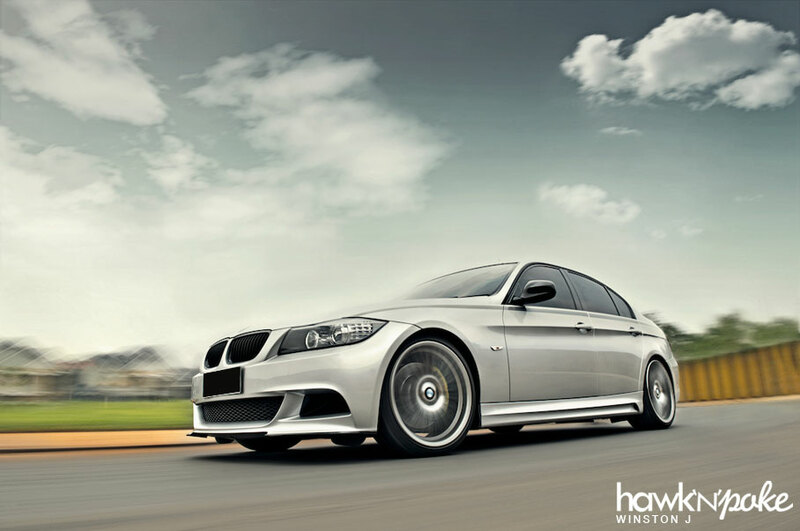 BMW Performance bodykit, carbon parts, and 19″ wheels have been elegantly combined to form a well executed Sporty Executive OEM+ look. No lines are too aggressive, no dimensions are out of place; every single part has been designed to enhance the performance of the car while still going in line with BMW’s principle of sporty performance, outstanding driving dynamics and innovative technology. 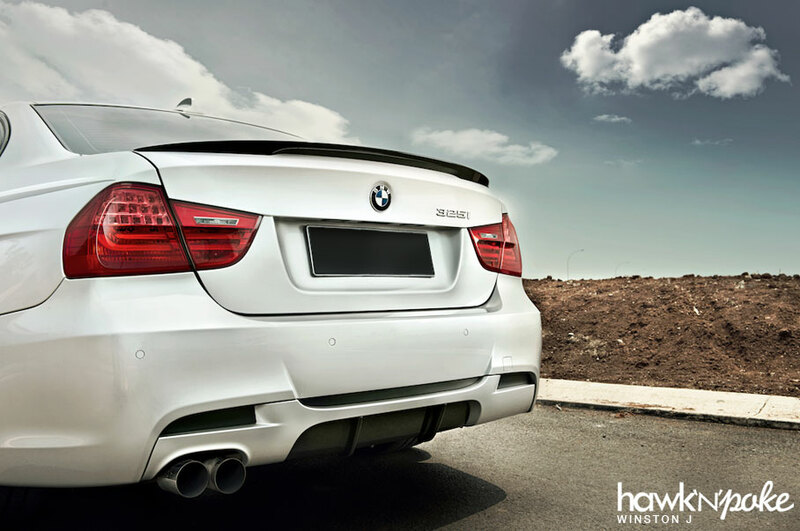 Backed by the BMW Performance division’s experience in motorsports, modifiers can be rest assured that the parts have been well engineered and designed. 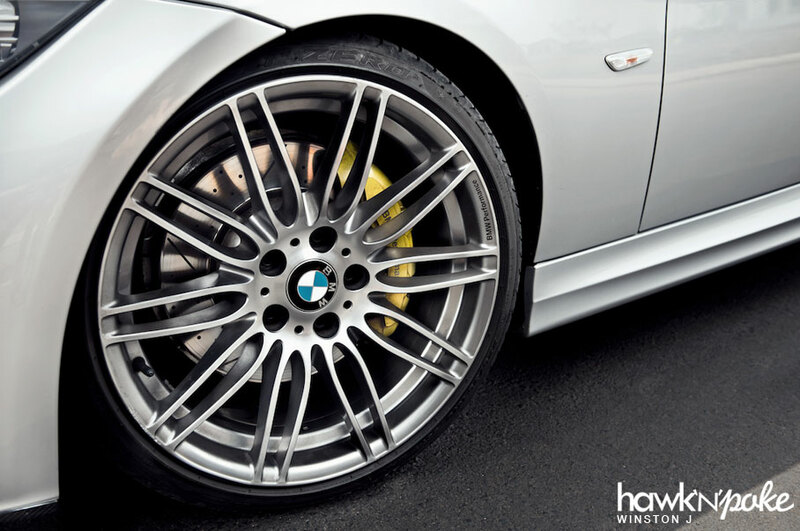 Take the brakes as an example; they are actually a set of re-engineered Brembo brakes that have been modified to suit BMW Performance’s standard. 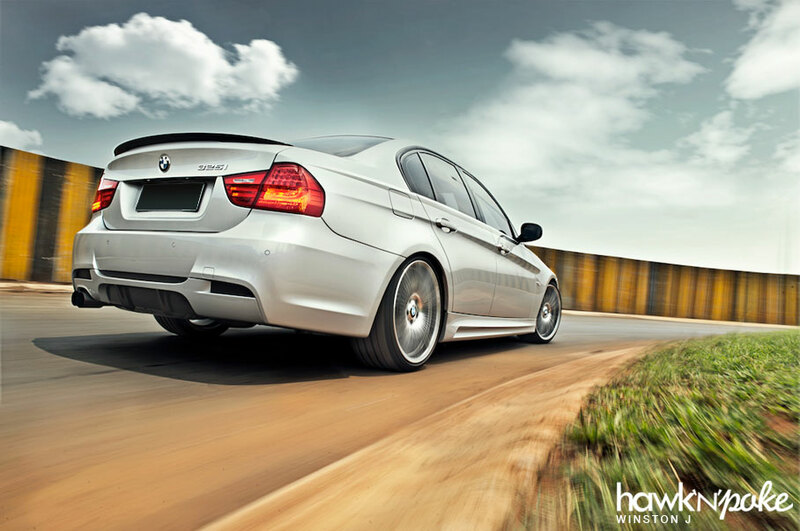 Hinted by the exhaust tone, the engine of this 2.5L saloon has also been tampered with a handful BMW Performance parts. 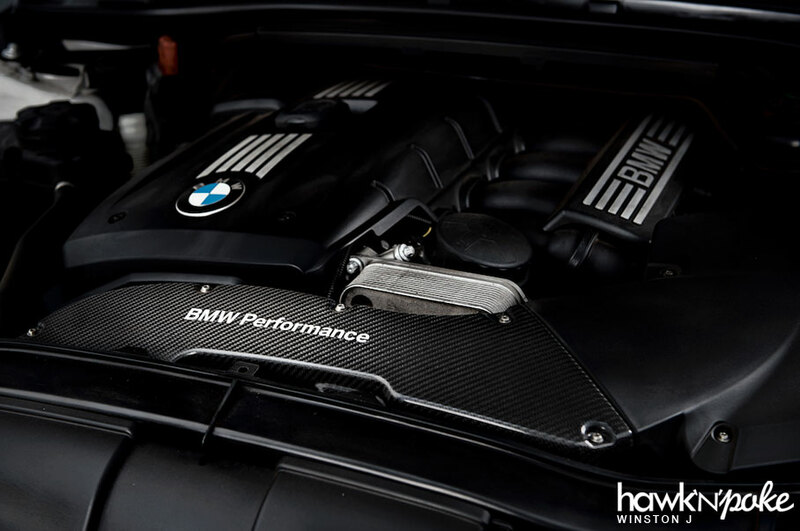 The BMW Performance carbon intake supplies the engine with the right amount of cold air, while the combination of Innotech header and BMW Performance catback ensures a smooth flow of exhaust gas. 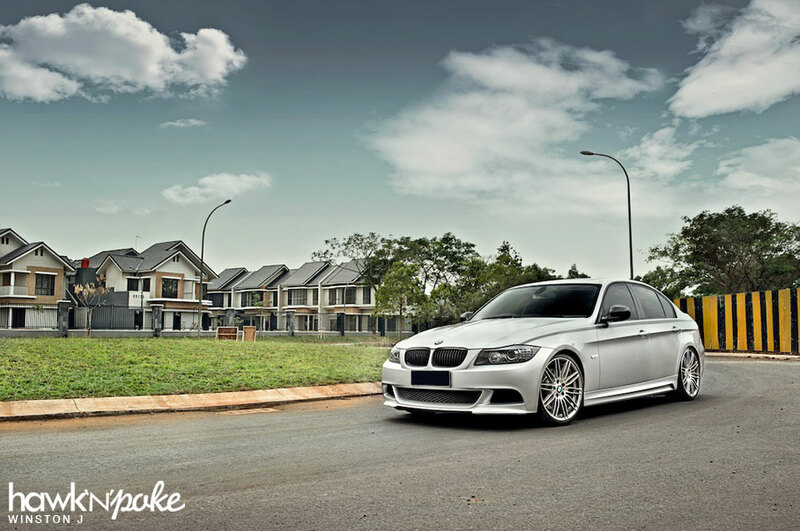 Reinhard Arditya, who previously owned a 320i, wanted to make sure that his current ride is able to perform up to his expectations. The 320i was too disappointing in that matter.